Are you looking for a practical and comfortable nursing bra? Why not consider the Natural coloured Anita 5068 bra? It is designed with soft underwiring and seamless cups providing comfort and practicality for everyday wear. The cups of this bra have no seams, which means that they are as comfortable as possible against sensitive skin. This Anita bra gives you comfort without compromising on support, however, as it has all-round support and specially-designed underwires. They are soft and shaped to fit the natural contours of your body, which makes them as safe, and as comfortable, as possible. How does this bra adjust to suit your changing needs? During this important time, a well-fitting bra can make all the difference. This bra has fully adjustable straps with Anita Kwik-Klip maternity clips, which can be opened easily with one hand; you can undo them whilst still holding your baby comfortably. The straps become wider as the sizes increase, and are attached directly to the band beneath the cups, to avoid them slipping away when the cups are down. This is another design feature that helps to make feeding easier. The microfibre back is designed to provide extra support. There are three size positions, each with two hooks, giving you the opportunity to find that perfect fit, even as your body changes. 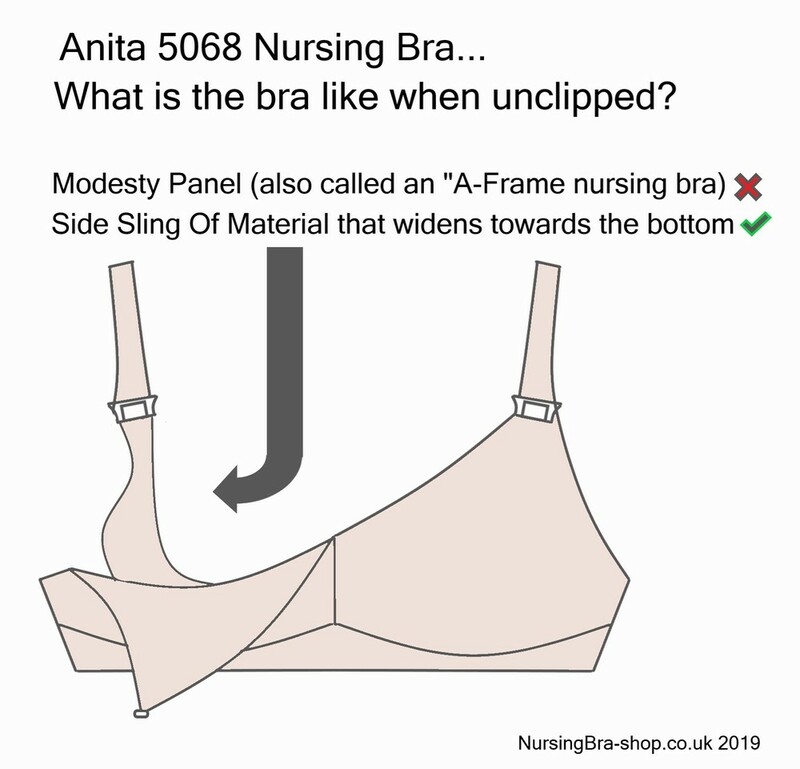 So why do we think that you should buy this Natural Anita 5068 nursing bra? If you are looking for a simple bra you can wear every day, the smooth profile and light colouring means that this bra can be worn under almost any colour and style of clothing. But we believe that the focus on comfort and practicality means that you won’t have to worry about getting the support you need, offering the best of both worlds!